Ukraine is dependent on Russian energy sources; an unsustainable co-dependence, which is now set to change. In fact, Europe, more focused on green initiatives, is woefully behind the US with respect to energy independence. Putting aside the environmental arguments, geopolitical events have a way of focusing policy actions, and just this past week, there has been gentle prodding of European leaders to do more from, take a guess….President Obama. Let’s give this a wow. No, a double-wow! Russia’s aggressive posturing in, and around, Ukraine’s borders, highlight the need for Europe to come up with a plan to extract and benefit from its own 470 million cubic feet of potentially recoverable shale resources. Three countries have the majority of recoverable shale gas deposits with the potential for meaningful recovery of shale gas deposits: Poland, France, and Ukraine. Get set for big changes in Poland and Ukraine! 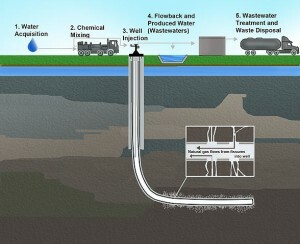 Hydraulic fracturing is effectively banned in France, Germany, and Bulgaria. To this point, a number of fantastic domestic US investment themes have been out-sized winners over the past 3-years. CJF sees many of these companies as profound disrupters and preeminent investments for the “bull market of today’s era”. More on this theme and individual shale investments in future writings. Halliburton (HAL) – A clear global leader involved in the upstream oil and gas industry from locating hydrocarbons, to drilling, to field optimization, and project completion. HAL is less exposed to fracking as a pure play but has numerous contracts to develop natural gas assets in Europe. HAL is a diversified investment theme poised to benefit on the margin from globalization of this theme. Exxon Mobile (XOM) – A behemoth, and busy on the exploration side within Europe. Exxon benefits in a safe way from globalization of all legacy energy themes. KBR (KBR) – Halliburton spinoff headquartered in Houston, TX. Leader in global engineering and construction services, supporting the hydrocarbon, power, industrial, and civil infrastructure markets. KBR contains a footprint in Gothenburg, Frankfurt, and Algiers and more extensively throughout the Middle East. Within the hydrocarbon segment, KBR has been awarded several $100m+ shale gas opportunities. The potential exists for growth in European business. CARBO Ceramics (CRR) – the mission of the company is to improve production and recovery rates in national gas reservoirs, provide services, and reduce business risks. 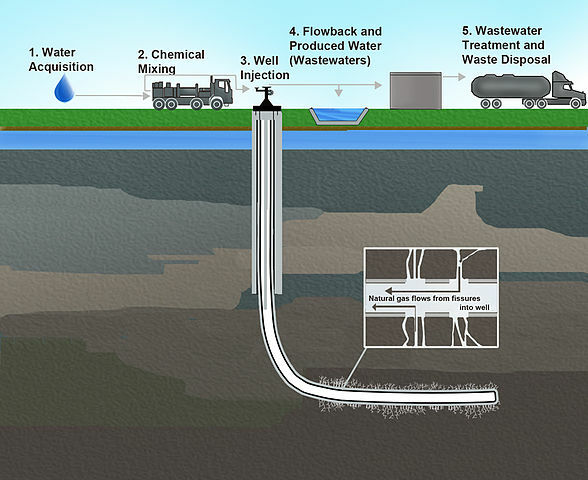 The firm’s focus of designing, and optimizing the fracking workflow has extensive global potential. The company has international operations but does not segment report and provide the size of the global business. This stock is a way to play the North American fracking boom with upside optionality on international growth. CARBO also operates a environmental engineering firm called Falcon Technologies with global potential. Chevron (CVX) – Another behemoth, and clearly another diversified energy exposure. Makes the short-list based on firm licences to explore in Ukraine, Romania, and Bulgaria.